Family Friendly cottage on a working farm, relaxed and casual. 3 bedrooms 1 bath Cottage Rent by the day or week. 4.5 miles from historic Kalona. 35 miles from Amana Colonies. Located on a hobby farm with friendly farm animals. Kid and family friendly, and also a nice quiet get away for couples. Several local Restaurants, pubs, and shopping. Full fresh farm breakfast on weekends. You can come and go all day and feel free to sit by a fire pit in the yard in the evening. 20 minutes from Iowa City. There is a big yard for relaxing or playing. Sleeps 8 in beds. Air mattresses available. We have 7 children with only one left at home. We both work full time and keep busy during our time off with our animals and hobby farm. We love our peaceful setting and view, and we like to share it with others. Parking at entrance of house. Wireless internet provided at no charge. Central living/gathering area central to the bedrooms. Microwave available in dining area. Additional child friendly play/TV room may be available upon request. 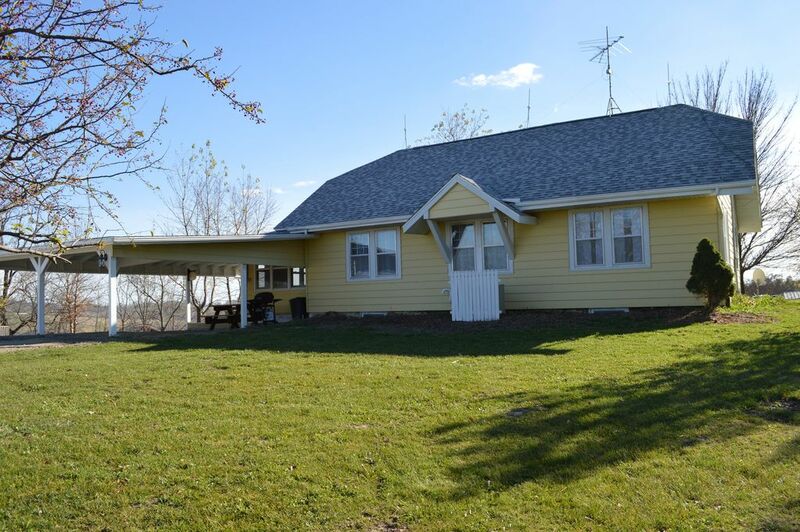 Operating farm with large yard, secluded roads for morning or evening walks, farm pond just below house. Firepit and lawn chairs available in rear. Large rear second floor deck. Riverside Golfing Casino 15 miles. Local public courses (Wellman/Kalona) two miles and 4 miles. Grocery/Dining/Indoor recreation/fitness facilities within 5 miles. We had a great time. Scott and Carmen were so friendly and even took the time to show us all the animals. The house was comfortable and had everything we needed to prepare meals. The kids loved running around and playing with all the animals! Had a peaceful stress free 4 day stay. Scott was very polite greeting us when we arrived. Answered our questions. Made us very yummy breakfast over the weekend. The kids were friendly. Very comfy homey house. Thank you!! Would love to stay again. Our family had a wonderful experience at Carmen's Cozy Cottage. 2 adults & 5 kids fit more than comfortably. The house is charming & spotless. A true farm house. The kitchen is stocked with everything you need if you wish to cook. The bathroom is modern & nice, especially the water pressure. Better than home. Breakfast brought to the house each morning is a thoughtful added bonus. Really delicious. Carmen does a great job. The farm & all the animals are amazing. Pigs, piglets, cats, dogs, cows, horses, chickens, turkeys, even a huge pot belly pig. It was a fun break from city living. We all loved it. Scott & Carmen are perfect hosts. Hard working people that will assure you have a wonderful experience. We will be back for sure. We were coming to Iowa City to visit our daughter, and were looking for a place that we could stay with our fur babies Maggie & Sadie that would be more room for them to play and something homey where we could just hang out and relax. Carmen's Cozy Cottage definitely fit that bill! The cottage was very clean and had plenty of room and decorated very cute. We enjoyed seeing the many animals, complete with a rooster crowing in the morning! Our dogs had never seen a cat so it was fun to see them interact. One cat, which we named "Scotch" (because it was butterscotch colored) was especially friendly, rubbing up against Maggie. So our girls made some friends at our stay! We enjoyed sitting in the cozy porch chatting and looking out the windows. To top it off, delivered to our door both mornings was a farm fresh breakfast! It was delicious and great not to have to go somewhere for breakfast, so we could just relax! This was the perfect place for us to stay, and I'm sure we will be back some day. One last little thing I would like to add is that I had brought the girls' favorite rubber duck along for playing outside, and I forgot it when we left. I contacted Carmen about having her mail it to me, and a few days later I received an Amazon box in the mail and it was a new rubber duck! I am guessing our rubber duck was found by their dog Lulu and left somewhere never to be found. It was so kind of her to send us a new one! I would definitely recommend Carmen's Cozy Cottage if you're looking for some rest and relaxation hosted by some very kind, down to earth people. thank you so much Connie! We loved having you stay! Highly recommend this charming house and would gladly stay again! Stayed here for a weekend in Iowa City and really enjoyed the experience. The hosts, Carmen and Scott, are very communicative and responsive. The house itself is well-furnished and functional, but features amenities (e.g., great water pressure!) and plenty of space to relax. The property has farm animals - kitties, pigs, and cows - that all appreciate attention and leftovers! Finally, our stay included delicious cookies and breakfast every morning. We also visited the Kolona Creamery and Golden Delight Bakery in the area. Wonderful stay on the farm! Carmen's cottage is charming, clean and had everything we needed. Our grandchildren loved all the animals (especially the cats) and exploring the farm. We enjoyed a delicious breakfast both days compliments of Carmen. We all felt very welcomed by Carmen, Scott and family and look forward to a return visit! Hawkeye game special! we will drop you at stadium and pick you up after game!